I am part of their blogger team and they give me fabulous supplies. Affiliate links in the post. Do you love the Calligraphy/Hand Lettering craze? It's like the new chevron, right!? I love it. I love writing but I've wasted so much paper making mistakes and smudging it right at the end...it can be a little frustrating! 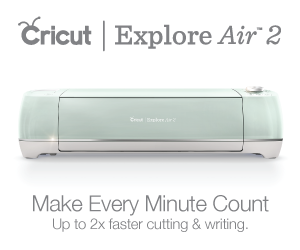 The Cricut is an electronic cutter for home use. It hooks to your computer through a usb cord or using bluetooth and an app on your ipod or iphone. How is it different than other cutting machines? I've only used a Silhouette Cameo and the Cricut Explore Air 2. There's a detailed explanation of the 2 machines here. I love my Cricut, I use it nearly every day. Cricut has a far superior machine than any other one I've used. I love the built in storage and the dual tool holder. I love the speed cut option as well...especially if you are in a hurry for a project and it's not super detailed--or it's a bulk project, you can speed it up for faster work. I have had some learning curve getting used to the software, personally it's not my favorite. If you have never used other cutting software or photoshop, it's super simple. I think I'm coming from a more complicated realm of software to the Cricut Design Space, so I have to remember how simple it is. The best part about the software is the undo button. Seriously, just press all the buttons. Nothing will explode or ruin your project. If you aren't sure what something does, test it out! If it's not the effect you want, just click the "undo" button. Easy peasy. There is nothing simpler than learning this software. 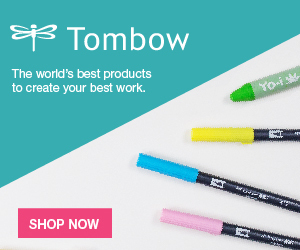 If you want to work on multiple projects (like work on another project while one is cutting) just open a new browser tab and Cricut Design Space and start working there. My only other issue is the Cricut only lets you cut a piece of vinyl 11.5 inches up to 23.5 inches long...meaning it must fit on the cutting mat. The Silhouette will let you insert a roll of vinyl for a continuous cut up to 16.5 feet long. Generally this isn't an issue with the Cricut, because I am working on smaller projects...and it's less likely to jam. You can always segment your project and then piece it together on the wall or whatever. Once you learn the limitations, it's easy enough to work around them! That's what I did here and I'll show you how. Here's a great project you can do whether you do lettering or not. These are so simple to make and they look gorgeous! Cut up some watercolor paper and use painters tape to adhere the edges to the table. Then use water and paint to create a fun watercolor wash. Here's a post where I show how to wash a little more detailed. I love watercolors, they are so fun. Just splash and splatter colors all over and then let them dry completely. Keep them taped down until they are dry to prevent paper warping. Now you can letter right on the paper...but this is fast and easy for those of us that don't letter. I used Adhesive Metallic Foil and Holographic vinyl for these. 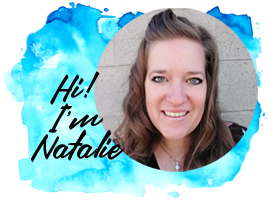 Take the png image and upload it into Cricut Design Space. Then save as a cut file. Then insert into the canvas. Scale it to the size you want and then click make it! Just place the foil on the cutting mat and insert into the machine. Click the "Cricut" go button. I love the shimmery foil. Remove from the mat, cut to size, remove excess vinyl. Place a piece of transfer tape on top of the vinyl and rub with the scraper tool. Peel off the backing and place, slightly skewed on the watercolor paper. Rub with the scraper tool. Then peel back the transfer tape and roll it over itself to remove it. I repeated with the holographic vinyl. I love this holographic vinyl...it's opal, so it's an array of blues and pinks and golds. So simple and easy to throw together in a few minutes! I love putting a "choose happy" where my kids can see it, so they remember that it is their choice everyday. And some fun patriotic decor! Like, Pin, Follow, Share, Save and Comment!